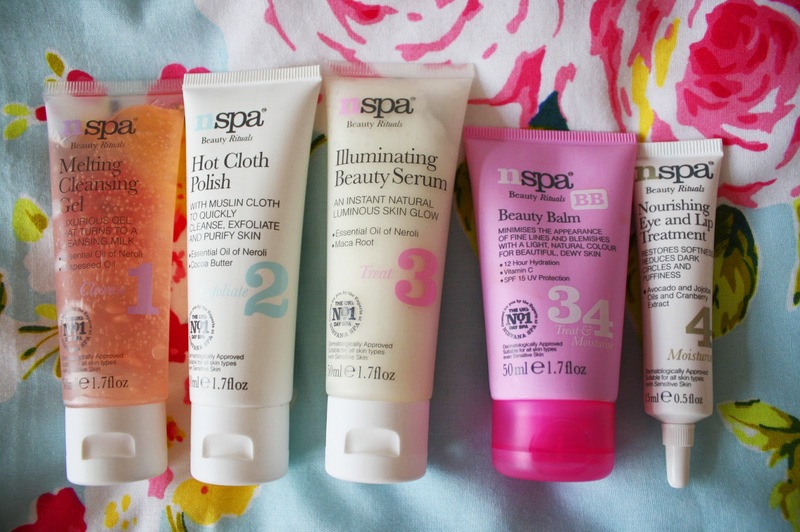 I recently had the absolute pleasure of receiving this bundle of goodies courtesy of the lovely NSPA team. With the lead up to summer, I have started to take a lot better care of my skin and hair, so I was very excited to give these new products a whirl. I was sent a selection of products from their Bathing Rituals & Beauty Rituals collections, with a Hair Rituals treat thrown in too. The products came in a very handy little carry-case, which I'm going to continue to use for storage after I've used up all of the items. First thing's first, the packaging. I was very impressed by the packaging of all of the products. I think the colours are very feminine and stand out from those that are already available in high street stores. 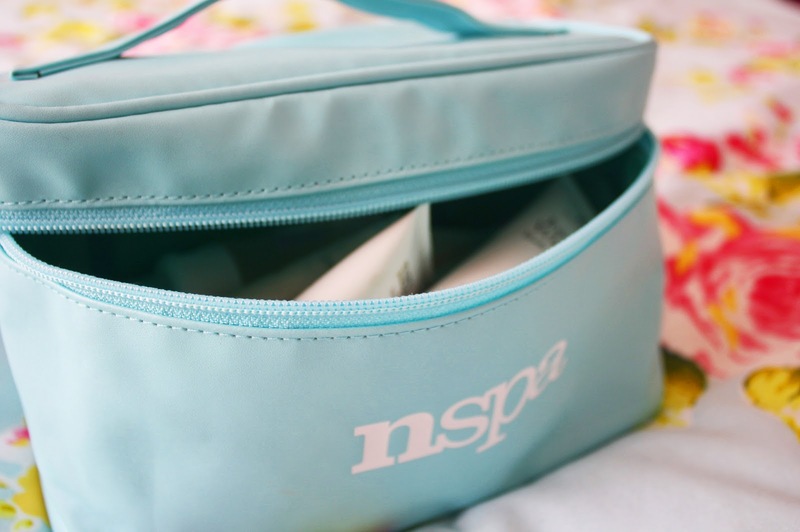 Albeit, the carry-case did remind me a little of the Liz Earle Overnight Travel Kit that I own, however, that is purely down to colour choice. As for the products themselves, I will be repurchasing a fair few of them. I personally preferred to use the products individually on different occasions with skincare I already own, rather than sticking to the instructed steps of use. The Melting Cleansing Gel is my absolute favourite of all of the products -- the cleanser is in the form of a gel upon first application and it feels like rubbing silk on your face. The moment you dab water across your skin to remove the product, it turns to a cleansing milk, that I can only compare to my Caudalié S.O.S Thirst-Quenching Serum which I absolutely rave about. My skin felt SO refreshed after using the Melting Cleansing Gel & I found it to be excellent product to use when staying at my boyfriend's flat. Similarly, I loved the Illuminating Beauty Serum and I used this as a facial moisturiser in the mornings/evenings. It helped to perk up my skin and leave my face feeling soft to touch -- I even did the whole 'feel my face!' thing after application. 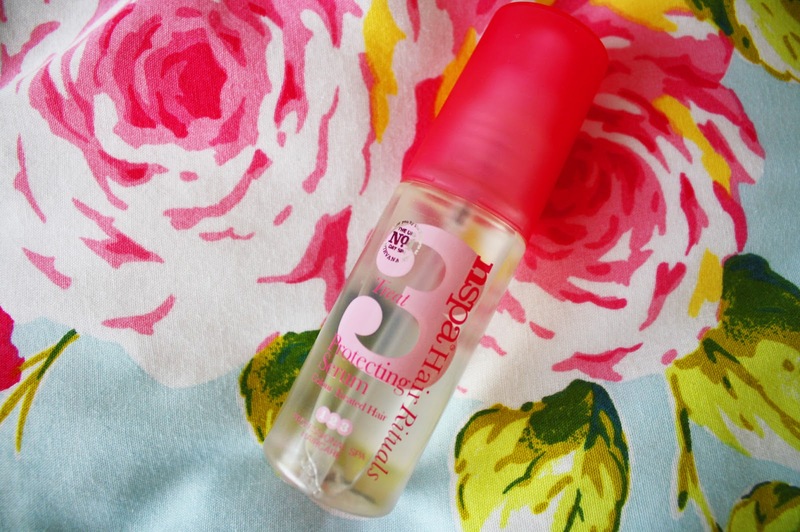 I was also very happy with the Protecting Serum for colour-treated hair. As you all by now know, I have ombré hair and I think it's going to be sticking with me for a long time yet to come, so this was a great little product to try out. The ends of my hair can get quite dry ever since applying my Wild Ombré dye; the Protecting Serum made my hair feel soft & fluffy after running my hands through my hair with the tiniest bit of product. The Protecting Serum can be applied to damp or dry hair -- I personally preferred to apply it to dry, tousled hair. Another one of the products that I have been getting a whole lot of use out of is the Nourishing Eye and Lip Treatment. I suffer from dry lips but I'm always too lazy to apply lip balm & I just end up letting my skin get out of control. The Nourishing Eye and Lip Treatment was an easy product to slip into my daily routine. I simply dabbed the cream on my lips with my ring finger and blended until fully absorbed. I did this whenever my lips felt dry (usually first thing in the morning & before bed) and it left my lips feeling so soft. The product also has a sugary raspberry (?) smell to it, which is really lovely. It is actually made from Avocado and Jojoba oils and Cranberry Extract... so perhaps it was the Cranberry I could smell. I did use this product around my eyes too, however, I didn't notice any drastic changes. I don't really suffer from dark circles so I didn't have much to work on in the eye department. I used all of the Bathing Rituals products and Hot Cloth Polish whilst staying at my boyfriend's flat. 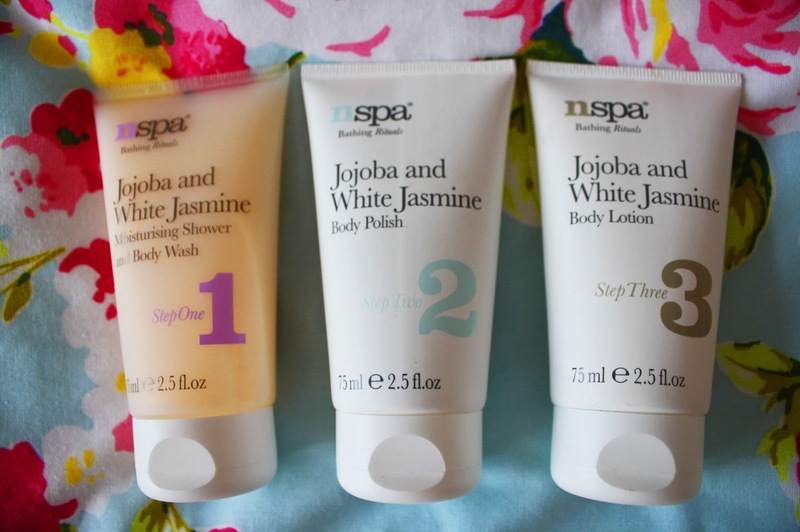 The Jojoba and White Jasmine Moisturising Shower & Body Wash was such a refreshing way to start my day. The smell wasn't too overpowering and it left my skin feeling rejuvenated. I followed this up by using the Body Polish and Body Lotion (both in the same scent) and Hot Cloth Polish, leaving my skin feeling very smooth. The only product that disagreed with me was the Beauty Balm. I am yet to find a Beauty Balm that doesn't leave my skin breaking out. I liked the bronze glow it added to my complexion, but I found the coverage felt too much like an oily mask on my skin. I only applied the Beauty Balm for one day and my chin area really didn't agree with it. I have had this same product with several BB creams I've sampled, so perhaps I'm just not destined to use one! 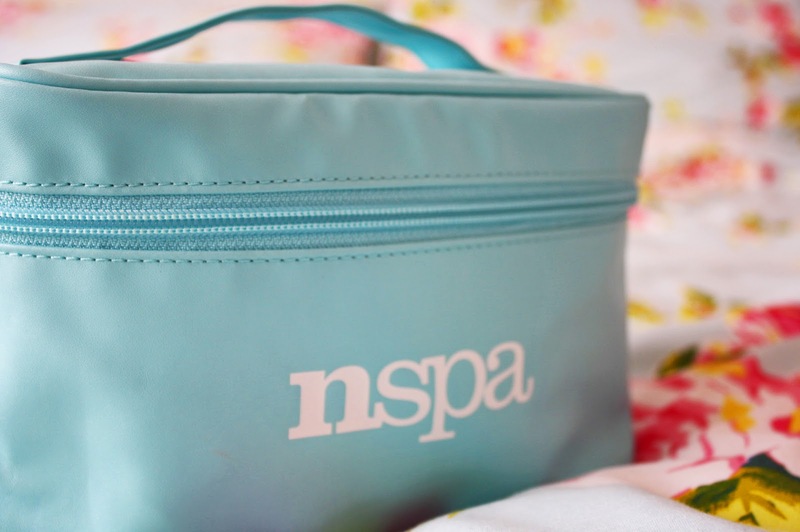 I would really recommend giving NSPA's products a go if you're looking to introduce a new product to your beauty/bathing/hair care routine. Their products are superb for sensitive skin and the scents are all fairly neutral, yet refreshing -- no scent-induced headaches! Not only are their products in my good books, their customer service skills are excellent, with a genuinely lovely team ready to answer any queries that you may have. Thank you NSPA! that melting gel sounds amazing! didn't know this brand, looks so good ! I would 100% recommend giving their products a go -- they're so kind to the skin and refreshing too! And the packaging is such a cute, girly touch :).